Looking for an alternative to boring headphones? 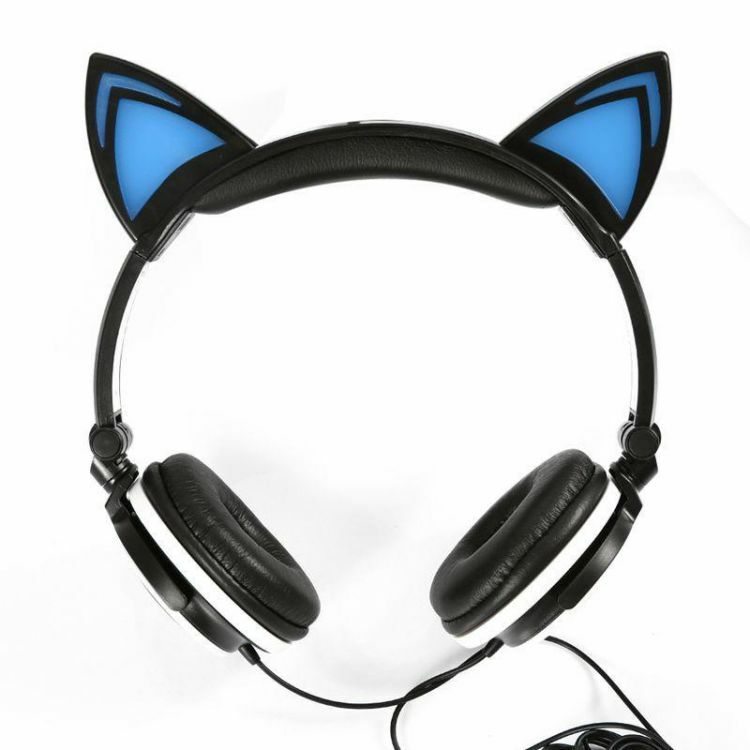 These fun and unique Cat Ear Headset will give you the style that you're looking for, while delivering an amazing audio experience at an affordable price. The glowing blue lights can be turned on and off with the button behind the left ear. The lights also have a "blinking" mode for extra fun. With standard 3.5mm Headphone Jack, you can use it with your phone, computer and more. Click "Buy It Now" button and we will get to work ASAP to make sure you get your brand new cat ear headphones ASAP!